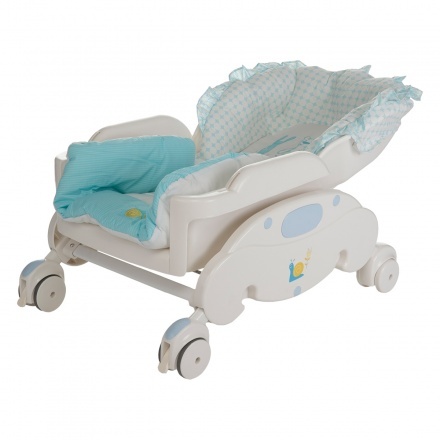 Juniors Swing Bed and Chair | Blue | It has a removable feeding tray. Save AED 0 (0%) Earn 143 Shukrans What is Shukran? Shukran is the Landmark Group’s award-winning loyalty programme in the Middle East, which allows you to earn Shukrans when you shop any of our brands. 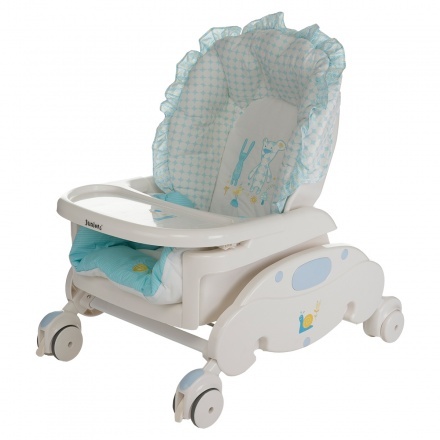 Soft and comfortable, this two in one chair is the right pick for your kid. On adjusting it, the chair turns into a swing bed. 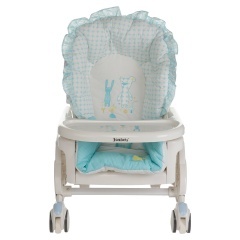 The sturdy material and cushion, is sure to keep your kid protected. Feature 1 : It has a removable feeding tray. Feature 3 : It has a washable fabric and can carry weight up to 15 kgs. 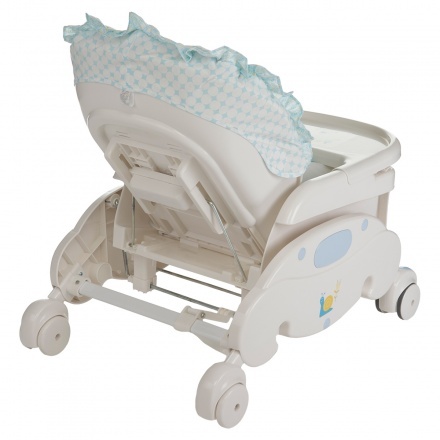 Feature 2 : It features a multi position reclining.